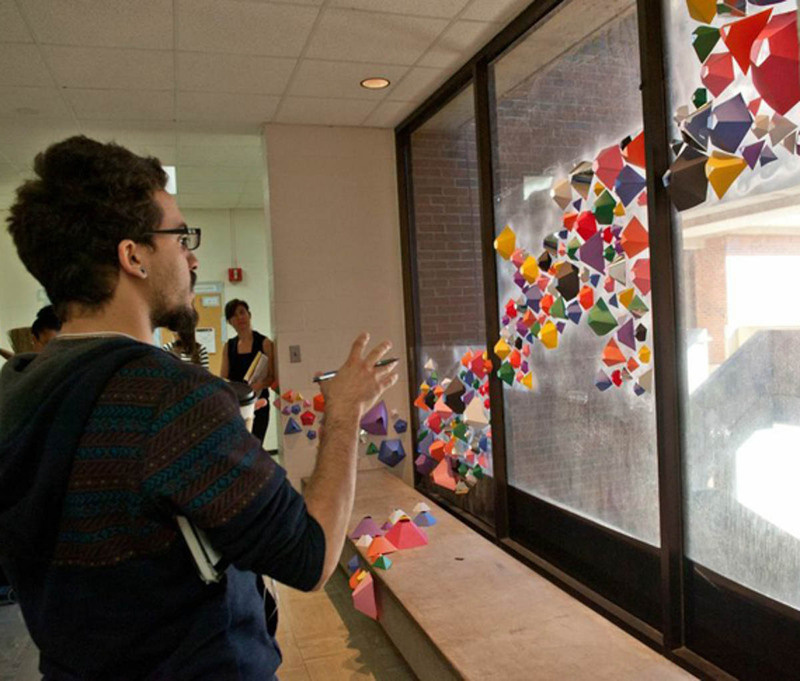 FSU is where aspiring artists come to acquire the skills, knowledge, and self-awareness that will prepare them for life as 21st-century visual artists. The Foundations year is where this begins. Capped at 12 to 18 students, the Foundations studio art courses provide an intensely hands-on environment where students are encouraged to learn through experimentation, to develop new ways of seeing, and gain the tools to intelligently and critically engage the world around them. While our class sizes are small, an advantage to going to a large institution like FSU is access to a tremendous amount of resources and options for future study. In the Art Department alone, we have 14 established focus areas for Foundations students to move into, and in the university, there are over 170 additional majors and minors to choose from. As over 2/3 of our students end up with a second major or minor upon graduation, FSU has both the breadth and depth to allow students to craft the educational experience they desire. In recognition of all the options and resources an institution the size and quality of FSU offers, an important component of this course is an introduction to the department, its focus areas, and the university for incoming freshman and transfer students. Time management, developing an academic game plan, future career options, and other topics with the aim of ensuring first-year success are also addressed. Students in this class examine the visual dynamics that influence and determine the impact of all two-dimensional artworks. While a great deal of self-expression and experimentation is expected, providing a context and a language for viewing is important. To facilitate this, students are exposed to a wide variety of historic and contemporary artists and designers and the elements and principles of art as they pertain to 2D Design. 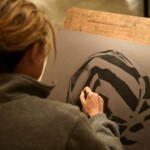 To support both, digital and by-hand techniques for making, this class splits its time between a “wet” studio classroom and a “dry” computer lab. This hands-on class explores form and space via a range of materials, techniques, and concepts. 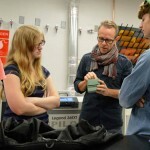 Through exposure to contemporary and historical techniques and approaches, students are encouraged to experiment with both traditional and new materials. 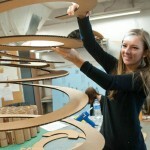 Critical problem solving, fundamental construction techniques, and creative inquiry are emphasized in this class. Sustainable design is highlighted as a means of practice and typical projects include kinetic, body-based, and monumental sculptural works. 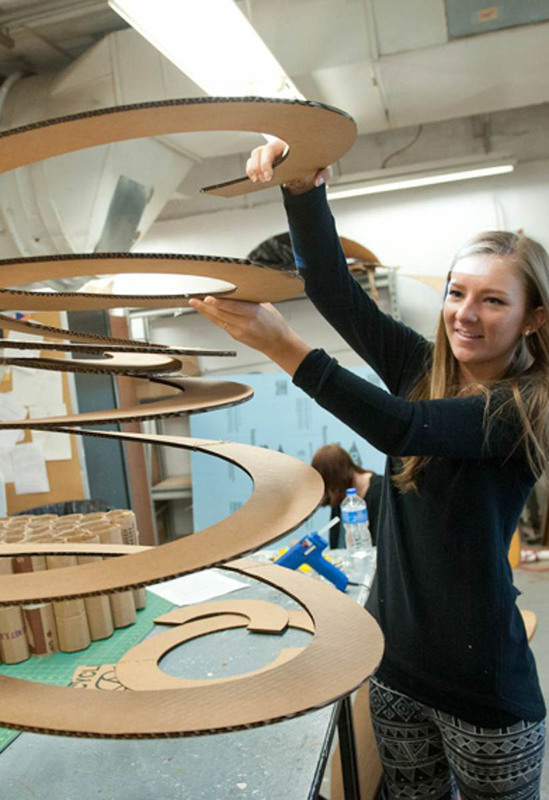 Using a wide range of materials including, but not limited to, wood, cardboard, plastic, wire, and fabric students create work using individual and collaborative approaches. Drawing by observation is about much more than simply training students how to draw well. It is about providing students the much-needed opportunity to slow down, to focus, and really look at and think through an object or space well enough to craft an engaging response. 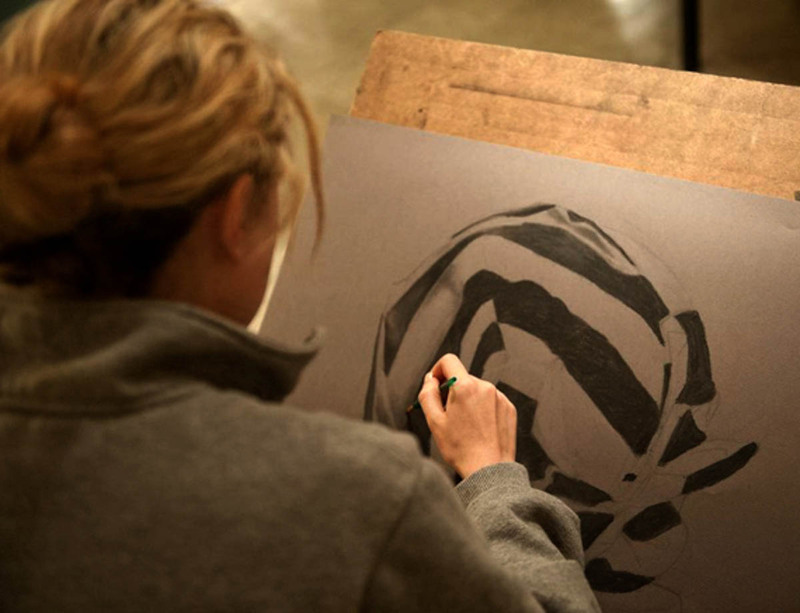 Building up from simple linear studies to more technically, compositionally and conceptually challenging projects, new techniques are taught with the aim of giving students the skills to create very self-expressive works through a variety of black and white media. 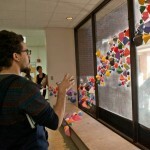 Through assignment-based explorations in 2D, 3D, virtual, and time-based approaches, students are encouraged to use the computer as a tool in embracing cross-disciplinary investigations while expanding perspectives about what an artwork can be. 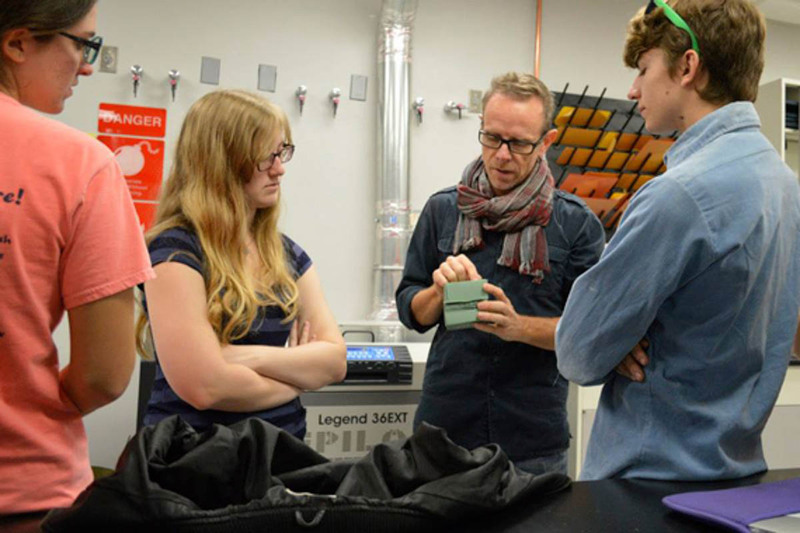 Students will be introduced to a variety of tools and resources present within the Department of Art, including digital tablets, laser cutters, vinyl cutters, 3D printers, still cameras, and a variety of software. 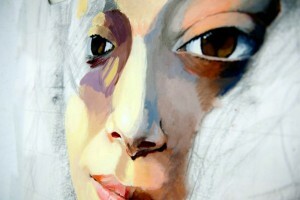 This course is designed to introduce a range of modern and contemporary art movements, mediums and practices. Students look at these movements in their socio-political contexts and will investigate how artists throughout history have built upon and reacted against the ideas and practices of their colleagues and predecessors. At the conclusion of this course, students should have an enhanced understanding of art’s recent history, and the tools to critically and artistically engage in the wide range of practices being explored by artists and designers today. Three Credit Hour Lecture Course.